Cristiano Ronaldo has not donated $11 million to the Kerala flood disaster fund and there are no cracks in a key dam, but India’s fake news machine has been working overtime to fuel confusion and fear. 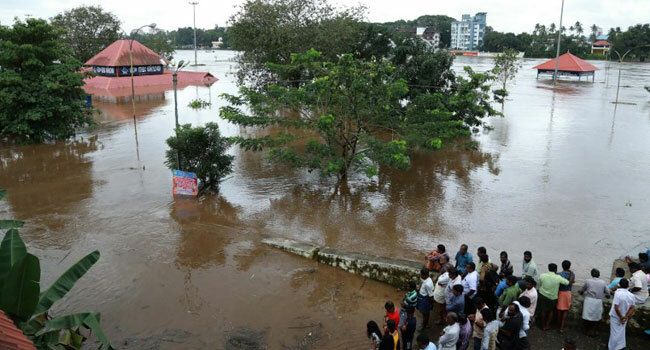 The Kerala state government and India‘s military have issued rare warnings about viral social media messages as they confront the aftermath of floods which have killed some 420 people. The deluge of false news, videos and claims also come as the Indian government steps up pressure on Facebook, WhatsApp and other platforms to act against fake news, blamed for inciting more than 20 lynchings in the past two months. Some postings have been relatively harmless. Portuguese football superstar Ronaldo is often linked to big donations after a catastrophe that makes international headlines. But Indian fact-checking websites like Boomlive.in have highlighted how many people are using Ronaldo’s supposed donation to criticise the federal government’s response to the crisis. The central government has pledged almost $100 million in aid so far. Kerala Chief Minister Pinarayi Vijaran issued a Twitter warning after a viral fake video said there were cracks in the Mullaperiyar dam in Kerala’s Idukki district. In the clip, an unidentified man, quoting a supposed friend in the office of Prime Minister Narendra Modi, says that within three hours the surrounding area will be inundated. “I wish to inform all that the state government will now take very strict action against such people,” Vijayan said. The Indian Army, in turn, debunked a fake video where a man in military fatigues is seen talking about the relief operations and slamming the Kerala chief minister. “Imposter wearing army combat uniform in video spreading disinformation about rescue and relief efforts,” the army tweeted. “Every effort (being made) by all and Indian army to overcome this terrifying human tragedy,” it said, urging people to inform authorities about the suspicious news. Joke news peddled by parody accounts on Twitter have also caused distress. “Man refuses to accept a saffron life jacket, dies as a result,” read a headline on a story by Fault News which describes itself as a satirical portal. Saffron is the most sacred colour for Hindus. They are the majority in Kerala, a state of 33 million people, and there is rivalry with Christian and Muslim communities. In yet another instance, an image of a flooded car park at a Renault dealership in the main city of Kochi turned out to be an old photo. Fake news is often deadly in India. Hoax messages about child kidnappers being seen in villages spread like wildfire on platforms such as WhatsApp, which boasts more than 200 million users in India. Mobs quickly gather to target the alleged intruders. More than 20 innocent people have been killed across India since June. Facebook is investigating intensively to counter fake news in India and other countries, hiring teams to track content and linking with fact-checking groups, its officials say. The Indian government demanded that Facebook-owned WhatsApp clamp down on fake news in talks this week with its chief executive Chris Daniels. Information Technology Minister Ravi Shankar Prasad said he was assured that WhatsApp “will soon take steps” to comply with the demands.